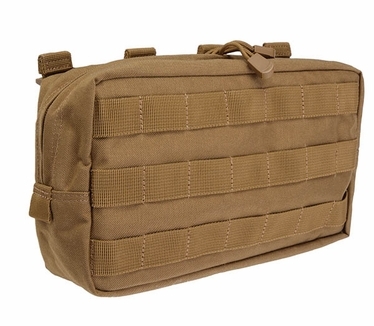 Our 10.6 Horizontal Pouch attaches quickly to any molle compatible system to help you organize critical gear. 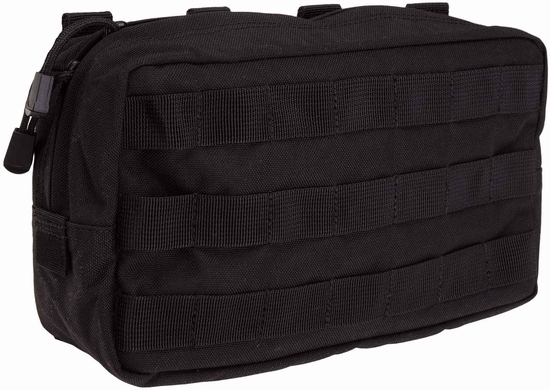 This 10.6 Horizontal Pouch can be used to stow small items on the exterior of a pack, vest or gear bag; providing easy access to necessary items. Made of 1000D nylon, this 10.6 Horizontal Pouch is extremely durable and can be easily removed and relocated to other molle compatible systems using our Slickstick™ molle attachment system. Slickstick™ The 5.11 Slickstick™ is compatible with standard molle attachment systems, yet functions like none other. The Slickstick™ slides through a UV-resistant ring making it easier to arrange and attach your 10.6 Horizontal Pouch and other gear. Slickstick attaches like a normal molle attachment, but it slides to make it easier. To remove an item, just pop the snap and pull the stick out.